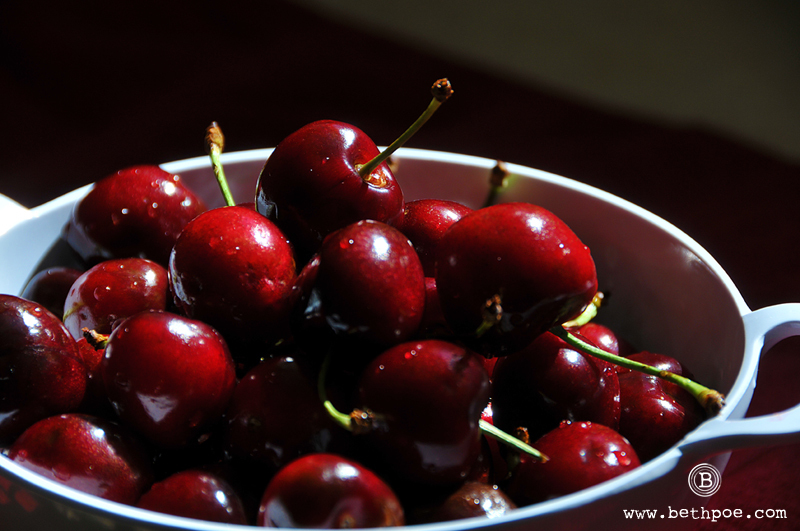 Life is like a bowl full of cherries..
Hooray – cherry season has begun! 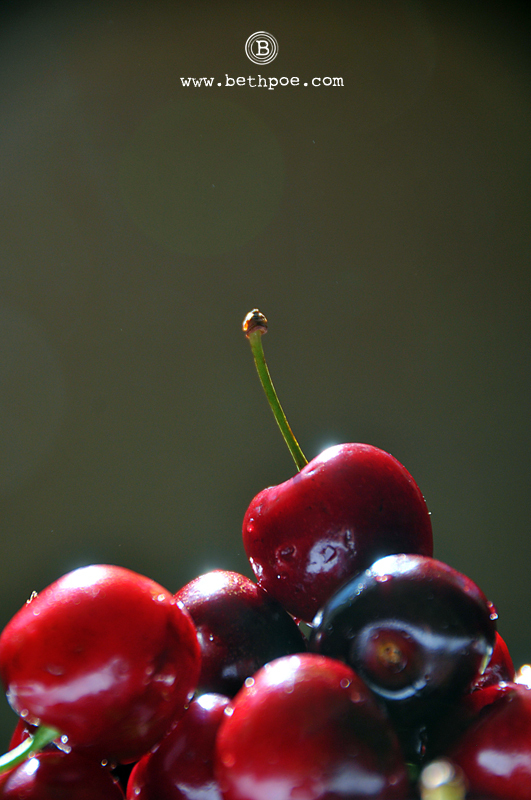 This tiny little fruit ranks right up there with my all-time favorite foods in the world. 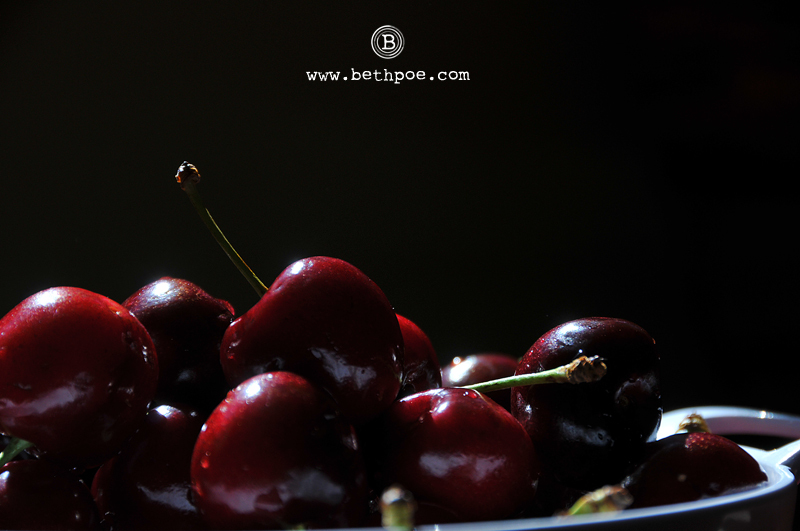 There is something so indulgent about a perfectly plump, sweet, juicy red cherry. 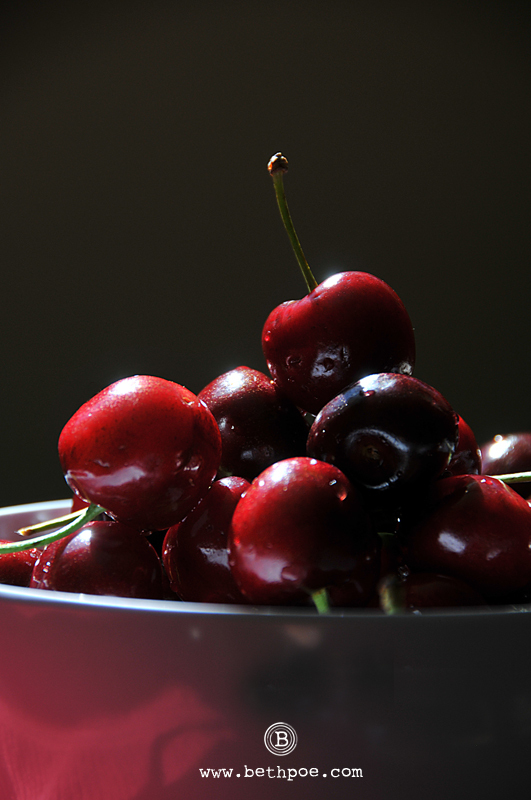 They are a feast for the eyes as well as the palate. Yum! Nice lighting and detail in these photos. Hope they were as good as they look!